With the increasing popularity of Whatsapp as an instant messaging application, many people exchange their views and communicate with others by sending free text, voice messages or making free video calls. As a parent or a guardian, are you worried about the way your kids or the beloved ones communicating with others on WhatsApp? 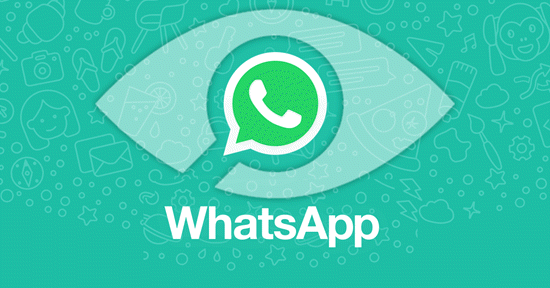 Do you want to know what messages your loved ones or someone you care for is exchanging with others using Whatsapp? Well, for those concerned guardians or well-wishers, it might not be so wrong to keep track of the beloved ones using some of the WhatsApp Sniffer or Spy tools. Sometimes one needs to monitor the Whatsapp of the person whom he/she cares for so that no untoward incidents happen and proper precaution is taken before it is too late. Tips: If you ever accidently deleted WhatsApp messages on iPhone, you can always use Jihosoft iPhone WhatsApp Recovery to get them back easily. Since Whatsapp works on end-to-end encryption method, it is difficult for a parent or a caring guardian to know the detailed activity of their kids or the loved ones unless some Whatsapp sniffer or spy tool is applied. These tools are used for spying on Whatsapp messages on any devices. Although one can get thousands of applications to spy on Whatsapp, very few give out satisfactory. Let us show you some of the best Whatsapp and sniffer spy tool here. mSpy is all-time favorite of many who want to monitor the Whatsapp messages of their loved ones and it can be used in an iOS or Android device. This WhatsApp spy app is packed with many features and is beautifully designed. mSpy can also be installed in devices that run on Mac or Windows operating systems. This application can monitor not only Whatsapp but also other social platforms like Snapchat and Facebook, so one can use one app to monitor many other applications on the targeted phone. This WhatsApp spy and sniffer application is very user-friendly. One can observe the browser history as well as SMS and emails. There is the geo-fencing feature allowing GPS location tracking for detailed monitoring. Using this app one can access the target’s activities and calendar events. It may be some concern for privacy issues for some people. Highster Mobile is a very user-friendly application to spy and sniff on Whatsapp, and it can be used in iOS and Android devices. It can track Whatsapp as well as messages from other social platforms giving an opportunity for the user to monitor various platforms with a single hack application. GPS location tracking can be done through this application. It can keep a log of all data of Whatsapp as well as other social media. This application can be used in multiple devices, and is easy to set up. The data can be accessed remotely without searching in the phone of the target. This WhatsApp spy and sniffer application are not compatible with Windows or Mac operating systems. Sometimes it fails to monitor Whatsapp messages with high accuracy. Available on iOS or Android devices, Windows or Mac operating systems, Flexispy provides some of the best results when one needs to monitor their loved ones’ activities in Whatsapp. Apart from monitoring Whatsapp it can also keep an eye on other social media, and it can give you the details of usage by your loved ones. It can control as well as intercept mobile phone calls. VoIP calls can be recorded using this hack application. It can take screenshots of the phone with the keylogger feature available inside. This app has more than 150 functions that can be used for various purposes. As the app is chargeable, there is the money back guarantee if the user is not satisfied. The charge is on bit higher side when compared to other paid applications. If you are looking for a spy and sniffer application for WhatsApp that will allow you to remotely monitor the target device in a user-friendly manner, then Spyzie should be your choice. It can monitor Whatsapp messages, calls as well as messages from other social media applications. Any iOS or Android devices can be remotely tracked through a PC or going to the app website. It does not need rooting of the phone for installation. One can preview the Whatsapp videos but cannot watch the total video or download the same. Some phone slow down in speed after installation. If you are a worried parent sensing some awkward behavior of your kids, then it is time to monitor Whatsapp on their mobile or tablets. With the spy and sniffer tool PhoneSheriff , you can block some of the worrying activities on the target phone. With this application, one can go for real-time GPS tracking. 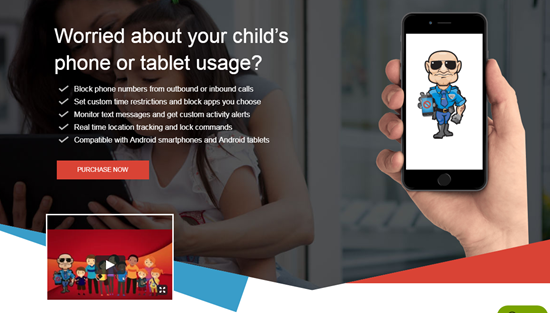 It can block some apps on the iOS devices preventing your kids from using them. One can monitor the browser history, text messages, photo logs, contact list, call history, installed applications and so forth on the phone. A broad spectrum filter option is available to prevent the loved ones to access some websites, and one can filter the contacts too. The phone needs to be rooted to use this application. Recently this tool was halted by its developers due to the attack of hackers. 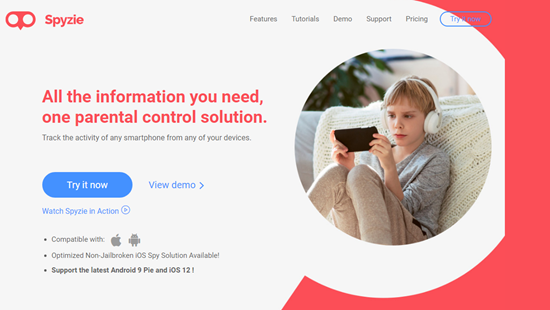 It is indeed a concern for a parent or a guardian to know the activities of their loved ones on the smart communication devices like iPhone. Monitoring is needed sometimes to keep a track on them and guide them accordingly in case of any untoward eventualities and activities. One can use any of the best Whatsapp sniffer and spy tools mentioned above to monitor the phone activities of the loved ones stealthily so that one can protect them from people with malicious intent.